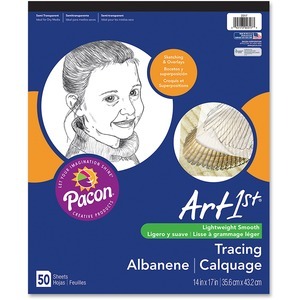 Tracing pad contains 50 sheets of semi-transparent paper with a smooth surface. Use with dry media with pencils, pens, markers, charcoal and pastels for sketches and overlays. Paper is recyclable. Sheet Size 14" x 17"